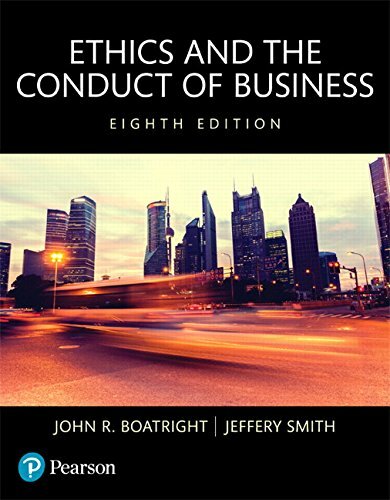 Ethics and the Conduct of Business presents a thorough overview of business ethics through a combination of theoretical material and real-world case studies. Authors John Boatright and Jeffery Smith provide numerous engaging examples to stimulate class discussion and show the relevance of the text’s concepts to actual business practices. In order to better engage students and ensure that the material is up to date, the Eighth Edition offers new and revised content that reflects recent developments in the business world and in the field of business ethics. Ethics and the Conduct of Business, Eighth Edition is also available via REVEL™, an interactive learning environment that enables students to read, practice, and study in one continuous experience.